Cheyenne, Wyoming – Wyoming Governor Mark Gordon and representatives from Carbon180 announced the next phase in their strategic partnership to foster carbontech businesses that are creating, perfecting and scaling up technologies that turn carbon emissions into a valuable commodity. Carbontech Labs, an initiative of Carbon180, is the world's first and only accelerator focused on the $1 trillion dollar carbontech market opportunity. The program provides support to early-stage companies that show scalable technical promise and potential investment readiness with a valuable product market fit. Carbontech Labs complements existing teams' capabilities with access to its vetted entrepreneurs-in-residence, investment advisory council, its extensive network of expert advisors, and technical test sites, including Wyoming’s Integrated Test Center. Wyoming Governor Mark Gordon joined Matt Lucas, PhD, Associate Director for Carbontech Labs, an initiative of Carbon 180, at the Wyoming Infrastructure Authority’s Spring Energy Conference in Jackson today. Following his remarks on his energy priorities and opportunities for Wyoming’s energy industries, the Governor and Dr. Lucas announced that Carbontech Labs has secured $1,000,000 in funding and will be opening applications for the first cohort of this accelerator program. As part of a previous commitment, the state of Wyoming will also contribute $250,000 to the fund. Early-stage companies that are advancing carbon-to-products technologies are eligible to apply for financial and program support. In the Fall of 2017, the State of Wyoming entered into a Memorandum of Understanding (MOU) with Carbon180, formerly the Center for Carbon Removal, to formally establish a framework for the two entities to work cooperatively to create and develop a carbon recycling and usage industry both within and outside Wyoming. Through this cooperative relationship with the state of Wyoming, Carbontech Labs teams will be able to utilize the Wyoming Integrated Test Center (ITC). The State also committed to invest financially when additional capital had been raised. High resolution photos from the announcement are available for download and print use here. Please include photo credit to Brantley Sydnor. 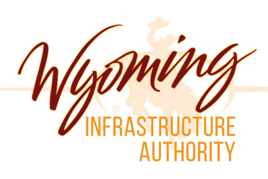 For questions on Wyoming’s partnership with Carbontech Labs, please contact Sarah Young with the WIA at sarah.young@wyo.gov or 307.287.7160. For additional information on Carbontech Labs or to apply for funding, please visit carbon180.org/carbontech-labs .